Banks Lyon Jewellers are authorised stockists of the Omega Seamaster watches collection including the new Limited Edition Seamaster 'Spectre' Watch, Release for the Latest James Bond Film, as worn by Daniel Craig. Given that Omega began creating the world’s first mass produced movements in 1885, it is no surprise that the range of Omega Seamaster watches has continued the legacy of cutting edge design and technology. Founded in 1848 in La Chaux-de-Fonds, Switzerland, by Louis Brandt, Omega developed a completely new watchmaking process whereby watches were able to be formed with interchangeable parts. 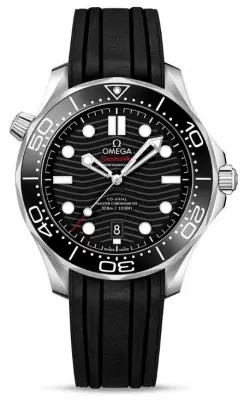 Omega Seamaster watches date back to 1948 when it debuted in celebration of Omega’s 100th anniversary and became an instant hit thanks to its capabilities, maintaining the title of the brand’s oldest model. The first watches were designed to be elegantly robust for active individuals, broadly inspired by the waterproof timepieces made for the British Military. During the decade of 1970, the Omega Marine Chronometer was certified as the very first wristwatch that was capable of undersea work and the durable functionality continues today, excelling in all elements. This innovation is guaranteed in all Omega Seamaster watches, paired with an incredible accuracy that has led them to being named the first, and only, official timekeepers of the Olympic games. Omega Seamaster watches have achieved international acclaim and iconic status due to their reputation for accuracy and water resistance; Of course, Omega have ensured that bringing such a high standard of attractiveness and accuracy to you, has been done so in an ethical manner, from start to finish. Much like the similar collection, the Omega Seamaster Planet Ocean, the accuracy and reliability of the Omega Seamaster watches collection is further proven by its C.O.S.C chronograph certification, an accreditation from the official Swiss Chronometer Testing Institute. This can be seen in diving watch models such as the Seamaster Bullhead Co-Axial, a piece re-issued as limited edition from the inspiration of the 1969 iconic original. Sure to be a favourite amongst enthusiasts, the striking timepiece is presented on a black rubber strap, benefiting from anti-bacterial treatment. Other movements such as self-winding automatic can be experienced with the likes of the Seamaster Ploprof 1200M, featuring an incredibly impressive water resistance of 1200M and a locking diver’s bezel to prevent miscalculations on timing and automatic helium valve. This model is an ideal tool addition for the experienced diver. A 300M water resistance is available in watches like the 300 Master Co-axial, designed for divers and professionals that work under water with a ceramic bezel equipped with a Liquidmetal diving scale. This is accompanied by a transparent caseback, making it possible to see the anti-magnetic Omega Master Co-axial calibre 8400 within. Our collection of Omega Seamaster watches also are capable of reaching a resistance depth of 600M, as with the Michael Phelps limited edition model, boasting self-winding automatic movement, Co-axial escapement and C.O.S.C chronometer with a ceramic unidirectional bezel. Innovative technology in the form of LumiNovaTM has helped divers and underwater professionals & enthusiasts alike keep track of their time accurately, by featuring a blue glowing light, and a green minute hand and dot on the bezel for distinction and further accuracy. Most models are fashioned with a stainless-steel case for durability and versatility, making these timepieces ideal for exploring the seas and wearing on a daily basis to less adventurous occasions. 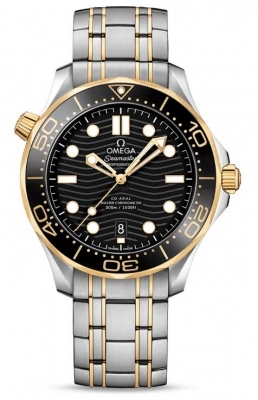 Omega Seamaster watches have adorned the wrists of some of the most famous James Bond actors. 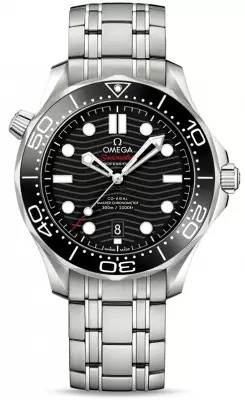 These include Daniel Craig in Casino Royale, in which he wears the well-admired Omega Planet Ocean and the Omega Seamaster Diver 300M, both first-class timepieces. The Omega Diver 300M Co-Axial has featured in several James Bond films, from Tomorrow Never Dies to Die Another Day, and as a result Omega have gained global acclaim from watch enthusiasts and fans of the films alike. Included in the range is Omega Seamaster Aqua Terra. Aside from a life in film, this collection of Omega timepieces has been the choice of many a famous explorer and pioneer. In relevance to the military requirements it was based upon, the Omega Seamaster went on to be the watch of choice amongst military divers around the world, including the British Special Boat Service. 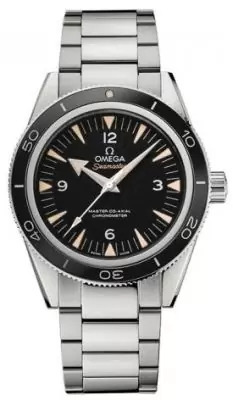 Perhaps one of the most notable achievements was that the team of Jacques-Yves Cousteau using the Seamaster 300 during the ‘Precontinent II’ experiments in the Red sea, summer 1963. This was to prove that divers could live in a submerged saturated gas environment for long periods of time without adverse effects. At Banks Lyon Jewellers, we want to make it easy for everybody to buy their Omega Seamaster at their convenience. That is why when you purchase with us, you purchase your way; online or instore. Whether you wish to buy a timepiece and pay all costs upfront or choose one of our flexible 0% finance monthly payment plans that are available on all new pieces above £500 with a deposit starting from as little as 10%, you will get the same great authentic quality and service. Perhaps you’re buying this as a gift for yourself or somebody else and cannot seem to decide on one from the great range; we offer a personal shopper service which is full of great advice and knowledge from our professional and friendly team. Contact us today by calling 01524 297 011, or visiting us in store in one of our Lancaster or Kendal showrooms and take your timepiece home today. Why Buy From Banks Lyon?